As a Scottish historian working on the seventeenth-century politician William Carstares, who took part in the Union debates of the early 1700s and who was a staunch proponent, I am probably more attuned to the current debates on the upcoming Scottish referendum than most. 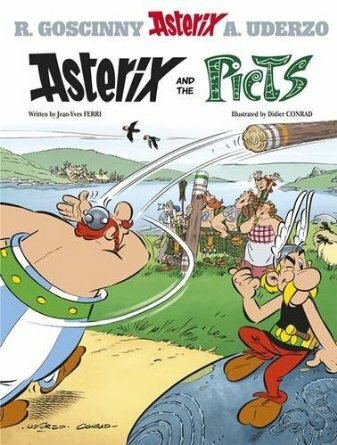 But today I was, yet again, struck by the day-today relevance of its history and wider context: yesterday’s announced closure of the petrochemical plant at Grangemouth and today’s publication of a new Asterix book, set in Scotland, highlight the debate on independence from two very different angles. The UK’s energy, and wider economic, predicament are a very serious part of all this, as described by Martin Kettle’s ‘Comment is Free’ piece in today’s Guardian: http://www.theguardian.com/commentisfree/2013/oct/24/grangemouth-scottish-referendum-snp-economy, while the publication of Asterix and the Picts invited comments from both supporters and opponents of Scottish independence. While the latter represents the ridiculous or more frivolous nature of the debate, depending on personal opinion and preference, it is undeniably the case that the referendum of 2014 has now made it into the popular media and culture. No longer the preserve of lofty intellectual debates or screaming tabloid headings, it is an issue which is no longer academic. The Department of History’s Stenton Lecture and Symposium aim to make a contribution to the wider discussion, which often suffers from a lack of historical background and contextual knowledge, on all sides of the divide. Colin Kidd’s lecture, ‘From Jacobitism to the SNP’ investigates republican sentiments and the place of the monarchy within the Scottish political tradition, with special emphasis on the recent history of the SNP. In the Stenton Symposium, the Anglo-Scottish relationship will be further explored by Roger Mason and Karin Bowie, who look at the history of the Union of 1707, and by Neal Ascherson, Ian Levitt and Alan Renwick, who will address the more immediate context of the Union and next year’s referendum. The Symposium finishes with closing comments by the University’s VC, Sir David Bell, from his perspective as a Scottish-born civil servant. It promises to be a lively and highly topical day, with plenty of opportunity for public discussion.